Mussels are one of the most nutrients giving mollusks in the sea. A lot of people find it interesting but are intimidated to take the step to taste it or cook it; this is borne out of fear of what to expect or fear of possible adverse reactions that may follow. Mussels like some other sea foods seem to put you off at first but as time goes on you realize just how good it is and you get used it. With their beautiful shells and different sizes, there are a lot of ways that mussels can be used to cook and so many recipes to experiment with. But first, let’s find out what to expect when you take a bite into a mussel. Mussels are sea foods which are categorized as mollusks. Mussels hold some resemblance with clams in some ways although they are a bit longer in shape and bigger in size. They usually come in dark black coloured shells and are almost oval in shape. Mussels grow naturally in salt and freshwater but are also grown artificially using suspended ropes in water. The flesh of a mussel is soft, and they have a natural sea taste after cooking. Mussels can sometimes contain harmful toxins due to the way they feed; they are filter feeders, which means that they feed on small organisms and particles in the ocean. In order to avoid these toxins, mussels are best harvested at certain times of the year. What Do Mussels Take Like? Mussels have a slightly chewy taste and also a hint of the natural ocean, how come? I have no idea; I guess it just grows on the mussels with time and becomes prominent when they are cooked; linking it to its very source. The shells of a good fresh mussel should shut tightly when bought, peradventure you find it open rather than closed then it should respond to a touch of the hand and close its shell immediately. That is a sure sign that you aren’t in for some bad flavored mussels at the end of the day. Depending on the mode of cooking adopted, mussels shouldn’t be too tough. There are various kinds of mussels found in the ocean and more than 80% of mussels consumed around the world today are farmed with Europe producing a major portion of it. Although there are many different species, some are more harvested than others, and they include. One spice that sits perfectly with mussels is garlic, and there are different ways you can incorporate them into your mussel dish. This recipe by Fannetastic Food has a lovely mix of tomatoes and garlic in their mouthwatering sauce. 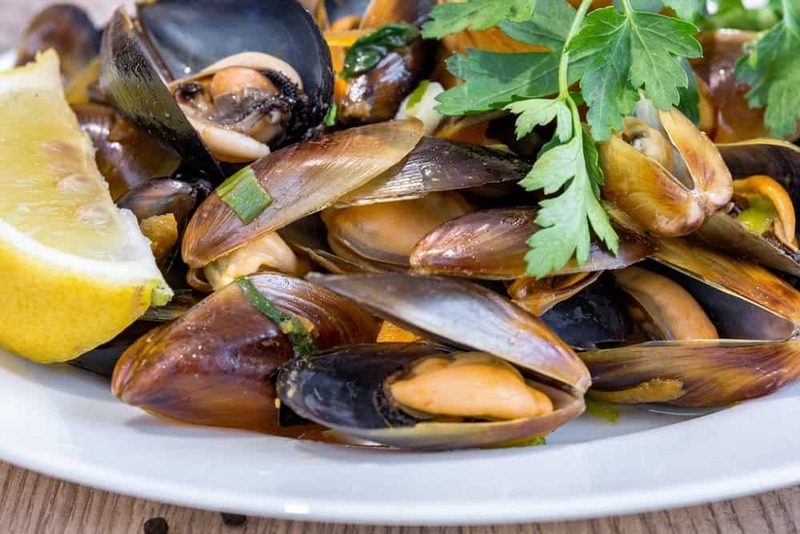 If you haven’t cooked with mussels before now, you need to know how to clean them first before cooking, and it is included on the recipe page. 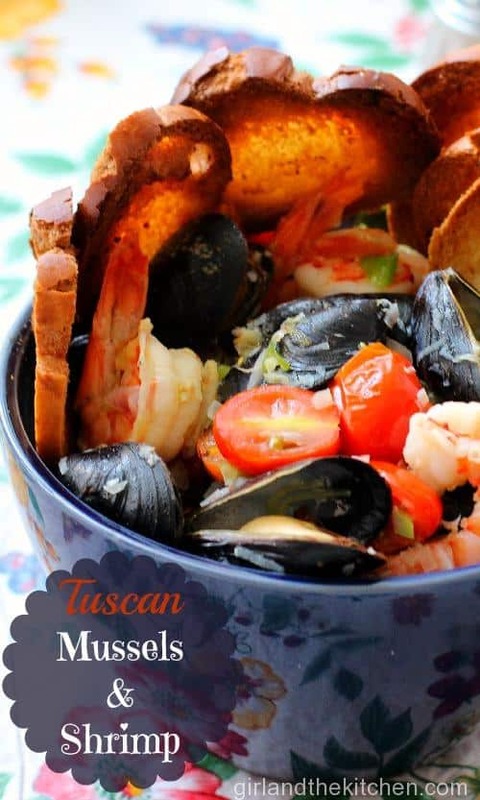 These tomato fennel mussels take less than thirty minutes from start to finish so you should get to it when it is almost time to serve, that way you have ample time to handle other things first. This is one we can refer to as a crowd pleaser. It is perfect for parties and even dinner with your family. This recipe by Ozlem’s Turkish Table made use of aromatic rice to stuff up their mussels, and it was a big hit. Very delicious, very inviting and absolutely refreshing, The recipe takes some time to get done with different steps at intervals that require few minutes to an hour, but the result makes it all worth it. You shouldn’t be limited to just aromatic rice, try out other stuffing ideas and see how it turns out. This recipe by Girl And The Chicken gives one of the best-steamed mussels you can have, and all the procedures are stated out there for you to follow. One good thing about steaming your mussels is that you get all the work done in very few minutes. So little time for so much taste, all the ingredients used are easy to source and the total cooking time took about 20 minutes. If you would rather not include the shrimps, then leave them out and follow all other steps. Steamed mussels preserve the natural flavor in them and are always a treat. Try it out with your family and enjoy. You didn’t think we would leave out a tasty soup recipe for this amazing seafood did you? Definitely Not, a plate of steaming mussel soup like the one in this recipe page by Cook The Story is all you need to make that evening worthwhile for everyone. 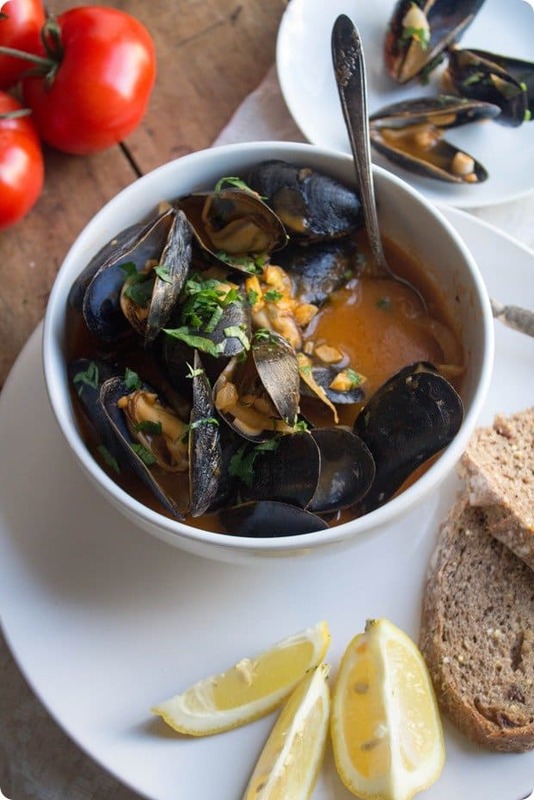 Another appealing thing about it is the time it takes; this mussel soup takes approximately 15 minutes to prepare from start to finish. If you are a fan of tomato soups like I am then this recipe is perfect for you. For a nice twist, you can also add in some other vegetables like spinach. Mussels are naturally very nutritious because you can get many vitamins in just one diet. Vitamins such as Vitamin C, Vitamin B12, and iron are in surplus in every mussel you eat, so imagine what happens when you take a plate full of it, you are sure you made a healthy food decision for at least that period. As we said earlier on, mussels can put you off when you have it the first time but hang in there; you are about to embark on a long-lasting journey with it because it gets better with every taste. If you want to watch a video on the proper way to clean out a mussel, follow the video and for more fun ways to cook your mussels, get this cookbook. Let’s cook some mussels, shall we? Love Fluffy Mashed Potatoes? You Need a Potato Ricer! many thanks for sharing my stuffed mussels recipe! Sabrina thank you for using my recipe!!! This is a awesome description of what mussels really are!!! !